Lynn and Alan Stout have lived at 801 West Ferry, Buffalo, for 20 years, and they have built their lavish gardens bit by bit. 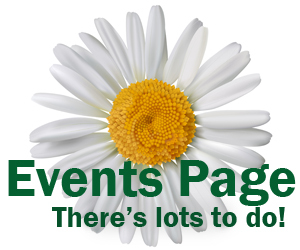 They shared their work with the public during Garden Walk Buffalo on Saturday and Sunday, July 24 and 25. 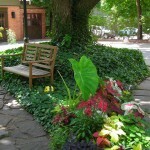 About 350 gardens were displayed on Garden Walk Buffalo, making it one of the largest garden tours in the nation. 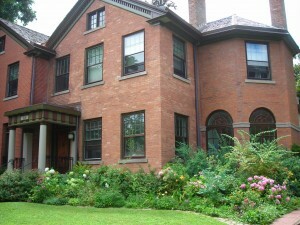 Visitors to the Stouts’ home were treated to large, full gardens in both front and back. The gardens start as soon as you get to the property. 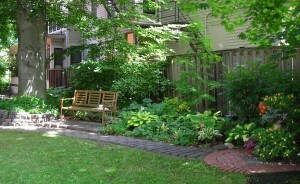 The Stouts have created a border garden along the sidewalk that is both welcoming and private. The photo at right is the view from the porch looking at the street. While the tall plants, trees and shrubs lining the sidewalk block the view of the busy street, the trellis creates a doorway that invites visitors onto the brick path leading to the front steps. A lush garden with elbow-to-elbow plants lines the long driveway leading to the backyard. As you can see in the photos below, gardens line the large, grassy backyard. “This used to be all blacktop,” Lynn said. “We put in everything but the trees, doing one area at a time. Now we have too many areas! They get some help with the maintenence. 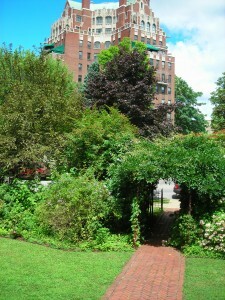 Garden Walk Buffalo covers about three square miles. It includes the University Trial Gardens at Erie Basin Marina, where annuals from around the world are planted to see what will grow in our unpredictable climate. From there it stretches east to include City Hall and the Historic West Village, Symphony Circle and the Kleinhans Community, Allentown, the Cottage District, Columbus Park and Prospect Hill near the Peace Bridge, and Elmwood Village. Free trolleys were available during the walk and included guides from Buffalo Tours. 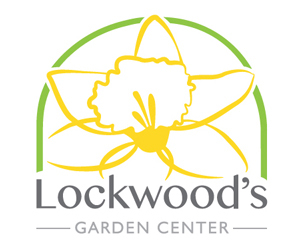 Tens of thousands of people visited the gardens, including Kelly Porter of Lyons in the Finger Lakes Region of New York, who was visiting her son, Ian Block.